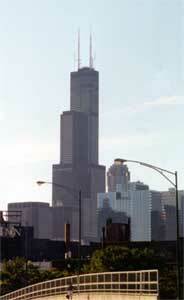 The Sears Tower is 1,454 feet tall. It even reaches 1,707 feet including two antennas that are each over two hundred feet tall. The Sears Tower has 110 stories.